An 11-year-old Oceanside boy took his grandmother’s car on a joy ride with four other children early Friday morning, prompting an hours-long police search that ended with all five adolescents found safe and returned to their families, police said. 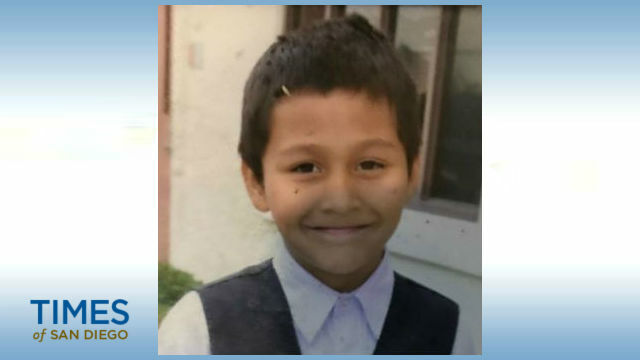 The search for Cesar Daukantas and the other children began around 1:15 a.m. when a gas station clerk reported seeing five unaccompanied children in a Hyundai Elantra driving away from the Shell station at 660 Douglas Drive, according to Oceanside police spokesman Tom Bussey. “The clerk was concerned because the juveniles did not appear to be with an adult and all appeared to be 10 to 11 years old,” Bussey said. Officers reviewed surveillance footage at the gas station and learned the Elantra sedan was registered at a home on nearby Myrtlewood Court, Bussey said. When officers contacted the vehicle’s owner, she realized her car was gone and so was her grandson Cesar, who she’d last seen around 10 p.m Thursday night. The gas station surveillance footage showed the Elantra owner’s grandson was driving the car when it left the Shell station headed east on North River Road, Bussey said. Police searched nearly four hours before finding the car abandoned outside a home in the 300 block of Avenida Descanso, roughly a mile from where Cesar was last seen driving away from the gas station, Sgt. Bill Weese said. Cesar and the other youngsters were found a little before 5:30 a.m. near Libby Lake Park in the 500 block of Calle Montecito, about a half-mile walk from where the abandoned car was discovered, police said. All of the children were safe, uninjured and returned to their families. The boy who took his grandmother’s car has been known to run away before, Bussey said. He was reunited with his grandmother and will not face any charges.